Join us for an evening of wonderful wine and artisan confectioneries. 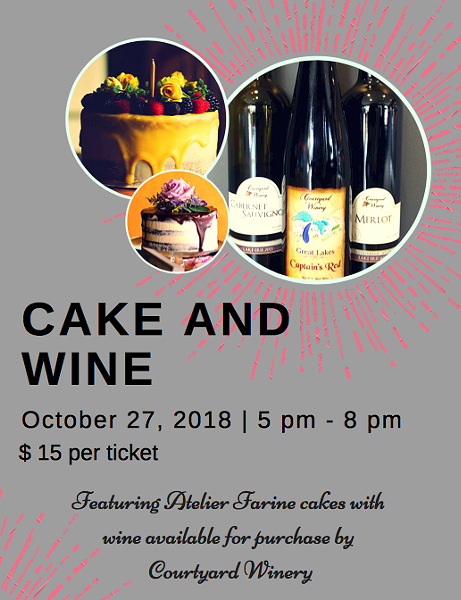 Featuring Farine Atelier cakes that will be custom made to pair perfectly with three red wine options from Courtyard Winery. Tickets available now!